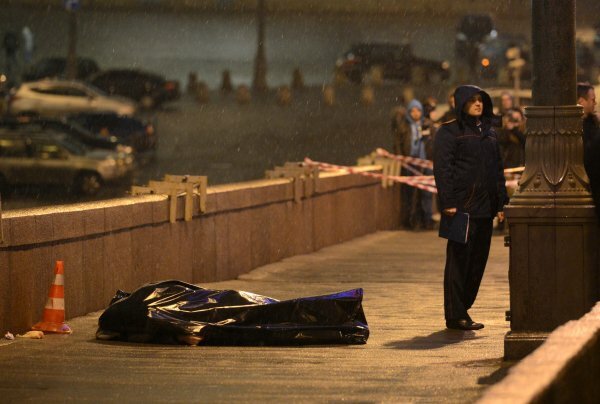 Who killed Boris Nemtsov? We don’t know. Some say we never will. They might have apprehended some suspects, but that is not the end of people’s suspicions. While there is little likelihood of a definitive answer, that hasn’t stopped Western observers from speculating: Putin, Ramzan Kadyrov, rogue Russian security forces, Novorossiya separatists, Russian nationalists, or a combination of these. All are certainly plausible. Your preference, however, says a lot about how you understand Russia. If you think all roads lead to Putin, you probably believe Putin has a tight grip on things – his orders flow smoothly down the power vertical. As such, Russia is a highly centralised state, and Putin’s subordinates rarely step out of line, and certainly never go rogue. However, if you think Putin’s Russia is a patchwork of elite factions where lines of authority are fragmented if not broken, then the possibility that autonomous forces took out Nemtsov is more conceivable. Nemtsov’s murder, therefore, is bigger than the killing of one man. The murder and the theories of who carried it out reflect the very nature of Putinism itself. The murder and the theories of who carried it out reflect the very nature of Putinism itself. The murder of Boris Nemtsov follows a familiar script: another Putin critic slain for his political activities. Nemtsov had been a thorn in Putin’s side for more than a decade. He published reports exposing corruption, campaigned for political change, championed democracy, and organised protests against Putin’s autocratic rule. He was vocal in his opposition to Russia’s war in eastern Ukraine, and was planning on publishing a report, ‘Putin.War’, exposing Russia’s involvement. According to this theory, Putin decided that it was time for Nemtsov to go. He gave the order, the FSB concocted a plot, and Nemtsov was done away with in a well-coordinated, professional assassination. The timing and location of his murder only adds to the speculation of Putin’s hand. There is no way such a killing could have taken place so close to the Kremlin, with all its security cameras, without the involvement of the security services. In addition, Nemtsov was under constant police surveillance because he was a main organiser in an antiwar protest, which was to occur two days after he was gunned down. The argument that Putin ordered Nemtsov’s assassination is certainly compelling. It taps much of our understanding about Russia as a centralised political system where the ‘first person’ has a tight grip on power, decision making is concentrated into his hands; and his subordinates, particularly in the security services, dutifully follow his orders. Any challenge to Putin’s authority is eliminated, as the pantheon of murdered critics shows. Putin’s rule is absolute. There is no need to look elsewhere for Nemtsov’s murders because he’s sitting right there in the Kremlin. But more than it reflects Russia’s contemporary reality, the notion that Putin ordered Nemtsov dead mirrors an old debate in Russian studies: how much control the Russian ruler ever possessed? The answer depends on how we imagine the Russian autocratic tradition. Russia’s ‘great’ rulers commanded much authority: Ivan the Terrible, Peter the Great, Stalin, and now Putin. They were said to have built strong states that solidified their control. During the Cold War, scholarship on Stalinism as a totalitarian system only reinforced these notions. Stalin, it is said, had total control, a grip maintained through terror and propaganda. But scholars have recently shown that Stalin’s Russia was incredibly chaotic and prone to ‘dizziness with success’ as mass mobilisation and violence became staples of governance. Yet myths of autocracy persist, and the assumptions informing them continue to colour people’s understanding of Putinism. Yet myths of autocracy persist. Putin, like rulers of Russia before him, may be rich in authority, but he is poor in mechanisms of enforcement. Orders may flow down the state chain, but they often hit bureaucratic intransigence along the way. As Richard Sakwa has pointed out, many of Putin’s decrees are often simply ignored. For example, in 2008, when Putin left office, over 1,800 of his presidential decrees had not been implemented. State institutions are weak, as is the rule of law and procedure, leaving Putin to rely on patron-client networks as his eyes and ears. According to people who know him well, Putin trusts very few people, quickly splitting individuals into ‘insiders’ (svoi) and ‘outsiders’ (chuzhie), leaving him highly reliant on the loyalty of a small circle. Putin is therefore dependent on what these insiders tell him; and because he prides loyalty over competence, many experts believe that many of his toadies simply tell him what he wants to hear. When you add pervasive corruption to the mix, notables have lots of room to engage in their own forms of entrepreneurship, and use administrative resources as they please. Without any institutional checks on notable power, the centre is often blind, if not incapacitated, to break local patron-client networks and regional fiefdoms. The ability to go rogue is ripe, given the right opportunity. The ability to go rogue is ripe, given the right opportunity. The potentiality of chaos is somewhat held in check by the myth of the power vertical. However, the power vertical is best viewed as a feeble disciplinary mechanism. Its potency is in part based on myth and part on actual legal power. It is a myth in the sense that Putin’s power vertical exists only in as much as others believe in it. Here the power vertical is merely symbolic power represented by the presidential signature – Putin sitting at a desk grilling his subordinates, or Putin sending out signals that often can be misinterpreted or reinterpreted to suit local and individual interests. The power vertical shows any modicum of functioning only as long as those symbols maintain their influence. The only real concrete power of the vertical is Putin’s legal prerogative to sack anyone he pleases. But even here his agency is circumscribed because while theoretically everyone is expendable, the personalisation of the system makes certain people indispensable. In some cases, powerful figures like Ramzan Kadyrov can even hold the system hostage. Russia remains a fragmented state, with power organised more in networks and circles than vertical structures. Putin is more a creature of the system than its owner. And ironically, the myth of the power vertical is more authoritative than the leader’s constitutional prerogatives. With few institutional mechanisms at his disposal, and the power vertical mostly symbolic, Putin often has to flex his personal authority, step in, and resort to ‘manual control’ as a bulwark against chaos. Indeed, quickly after Nemtsov’s murder, Putin announced that the investigation was under his personal control. Experts are conflicted what it means in practice, and it doesn’t guarantee a more successful investigation. What it does send is a signal that Putin recognises a breakdown in the system, and the fact that few Russians believe in the effectiveness of their institutions. By putting the Nemtsov investigation under his personal control, Putin is signalling to the public that he is personally invested in minimising arbitrariness and maximising order. Putin is more a creature of the system than its owner. At the same time, the Putin system creates conditions primed for chaos by mobilising populist forces. Since the Orange Revolution in 2004, the state has nurtured and unleashed populist forces to combat ‘fifth columnists’ accused of organising a colour revolution. In the mid-2000s, youth groups like Nashi often harassed, and even assaulted oppositionists, or staged shows of force with mass street marches. State propaganda painted opposition leaders like Boris Nemtsov as ‘fifth columnists’, ‘traitors’, and agents of the US State Department or CIA. This atmosphere only intensified with the protests in 2011-2012, and redoubled in 2014 with the EuroMaidan in Ukraine. The state has also successfully energised a minority of ‘patriots’ to volunteer to go fight in eastern Ukraine, while others, like those in the Anti-Maidan movement call for their liquidation. Many attribute Nemtsov’s murder to this atmosphere of hate, which has permeated Russian political discourse. Some oppositionists have argued that the result is a state that has outsourced its monopoly on violence. For example, Vladimir Ryzhkov told the Financial Times, after Nemtsov’s murder, ‘In Soviet times, the state had a monopoly on force. Now we don’t have such a monopoly. We have violence from the top, threats from the top, and an amazing threat from the bottom. We have all kinds of nationalist groups, radicals, military veterans, sports clubs. And any group could use violence against those who they think are enemies of Russia.’ It is no surprise then that Novaya Gazeta recently reported the existence of a ‘hit list’ among Chechens connected to Ramzan Kadyrov, and suggested that Nemtsov’s murder was a warning to the Kremlin that the ‘patriots of Russia are tired of waiting; the enemies need to be eliminated; enough with the delay.’ By creating this atmosphere, the Kremlin has essentially signalled that excesses are permitted. The result is a state that has outsourced its monopoly on violence. The anxiety surrounding Putin’s recent disappearance points to how fragile many believe the system is. For a few days a country searched for its president, prompting a flurry of rumours about Putin suffering from a serious illness, having died, or fallen victim to a palace coup. The idea that Putin might be gone, simultaneously tapped into people’s desires and fears. But it also revealed that for many the system means little without the ‘first person’ symbolically holding it together, that without him all of its internal contradictions would explode and bring the whole thing crashing down. The anxiety around Putin’s disappearance supports the view that Russia is essentially a dictatorship where one man holds all the reins. Without his hand on the controls, the system spins into disarray. But what of the horse at the end of those reins? Can the ‘first person’ maintain his grip as the system bucks and bolts? Here, then, perhaps, Nemtsov’s murder testifies not to Putin’s iron grip, but how easily it slips.